Thin Mints girl is clearly overjoyed. I'm sure so is Samoas girl. The wait is over. 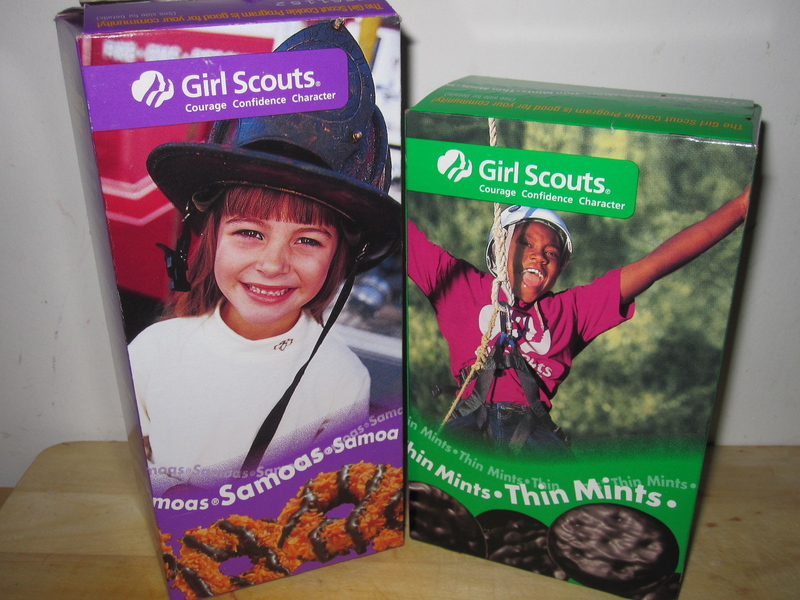 Late Friday afternoon as I was leaving the office, two adorable little girls officially started off my weekend in one of the best possible ways: by handing over two boxes of Girl Scout cookies. All weekends should start this way. This entry was posted in Sweet stuff and tagged Girl Scout Cookies, Samoas, Thin Mints. Bookmark the permalink.